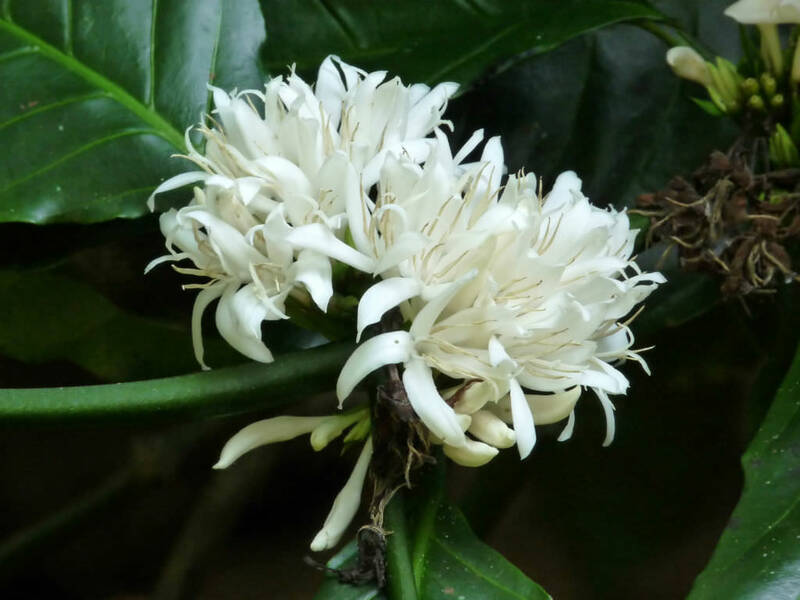 Coffea canephora is a flowering plant that grows as a robust tree or shrub up to 33 feet (10 m) tall. 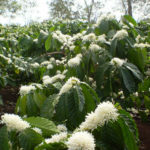 It flowers irregularly, taking about 10 to 11 months for cherries to ripen, producing oval-shaped beans. 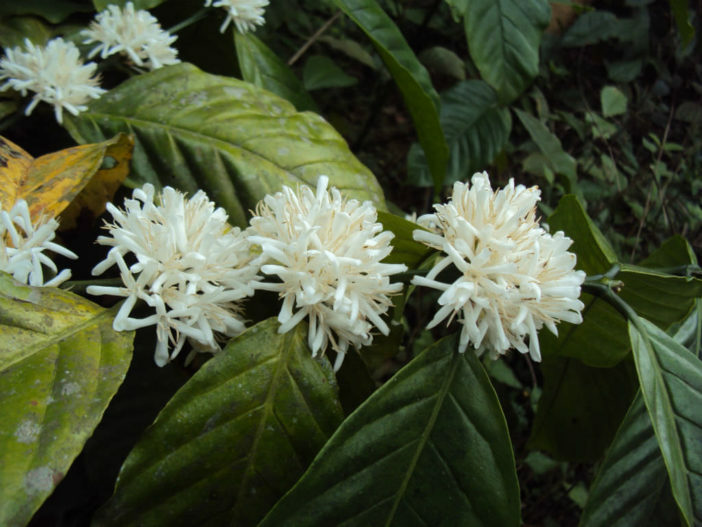 The flowers are fragrant, star-shaped and white in color. 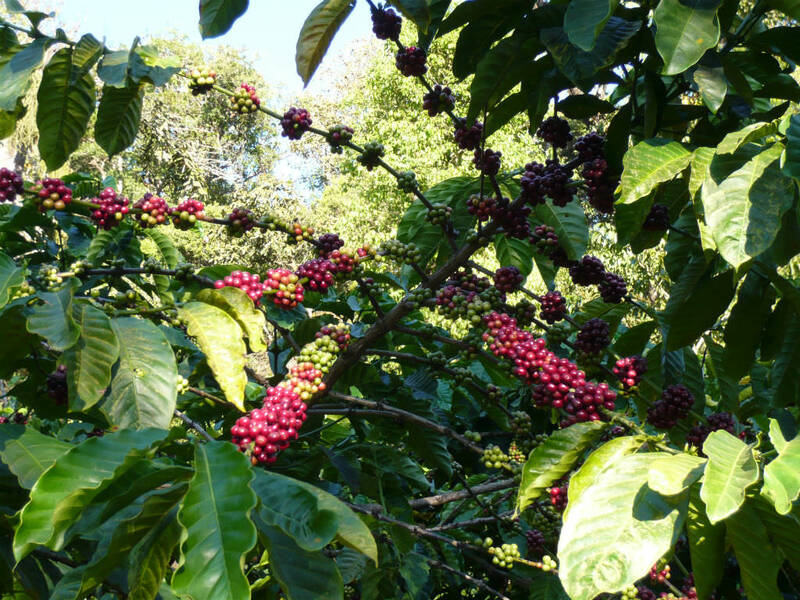 Coffee Plants prefer bright, but indirect, light. This means that they should be placed near a window but not directly in the window itself. They also cannot take temperatures below freezing and will not do well in temperatures that stay consistently below 65°F (18°C). Keep them away from drafts in the winter. 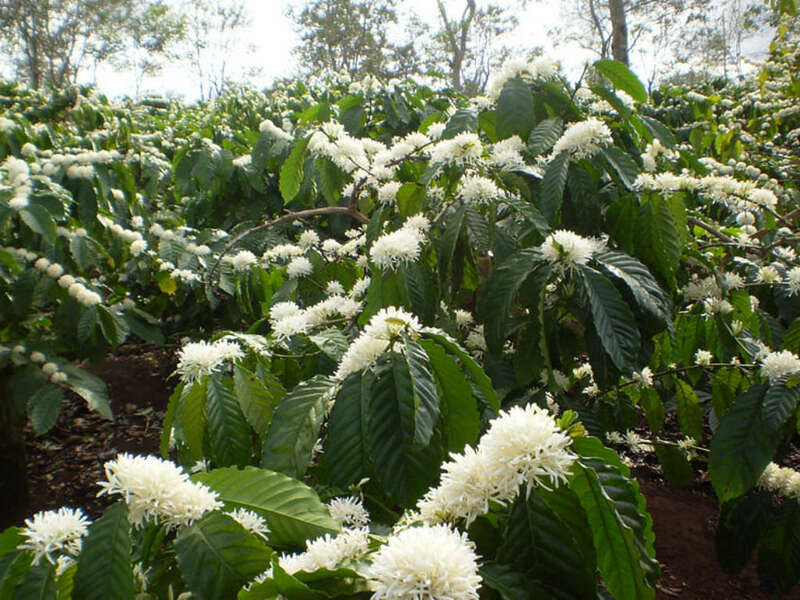 When growing Coffee Plants, the soil needs to stay moist, but not soaking wet. 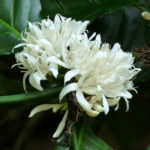 Also, make sure that both the soil and the pot your coffee plant is growing in has good drainage. The humidity around the plant will need to stay high as well. Setting your Coffee Plant on a water-filled pebble tray will help with humidity. 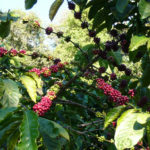 Like many houseplants, a coffee plant will need less water in the winter than in the summer. It is native to central and western sub-Saharan Africa.